We pride ourselves in having a wide scope of experience and qualifications. We have experience on many types in both engineering and flying. 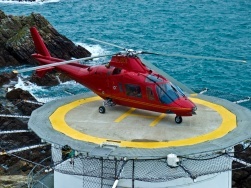 Both our engineers and pilots have been factory-trained on a variety of helicopter types. Continued investment in our team's ability promotes sound knowledge and capability to carry out the professional services we offer. We have extensive experience and a great deal of personal pride in supplying the highest quality product and customer services to our client base. Our refurbishment work and attention to detail in bespoke customization demonstrates we genuinely care about the finished product and the manner in which we deliver our service. EASA licensed and type rating qualified on: Enstrom series, MD series, Bell 206 series, Schweizer 300, Robinson series. FAA Licensed Airframes & Powerplant (A&P), Inspector Airworthiness (IA) and available by arrangement is a Designated Airworthiness Representative (DAR). "We take flying and engineering seriously and we train hard to make sure we're equipped with the skills to carry out our duties safely and professionally"
If you want the new helicopter feel but not the new helicopter price, why not think about a refurbishment plan as part of your purchase? This can range from fully stripping the helicopter to purely cosmetic upgrades.